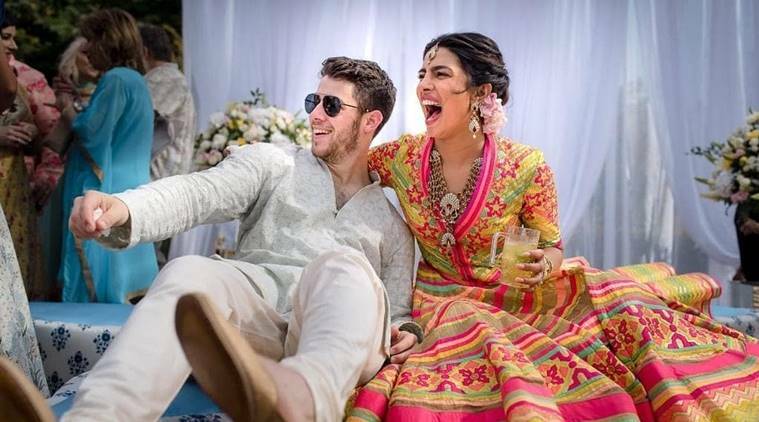 Jonas also wore a Abu Jani Sandeep Khosla number for the ceremony. 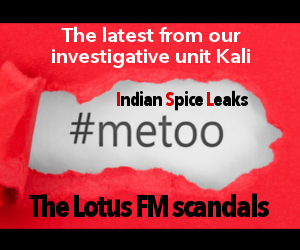 He was seen in an ‘aqua bakhiya kurta’ that was teamed with white pyjama and gold mojaris and we feel the American singer managed to charm in his desi look. 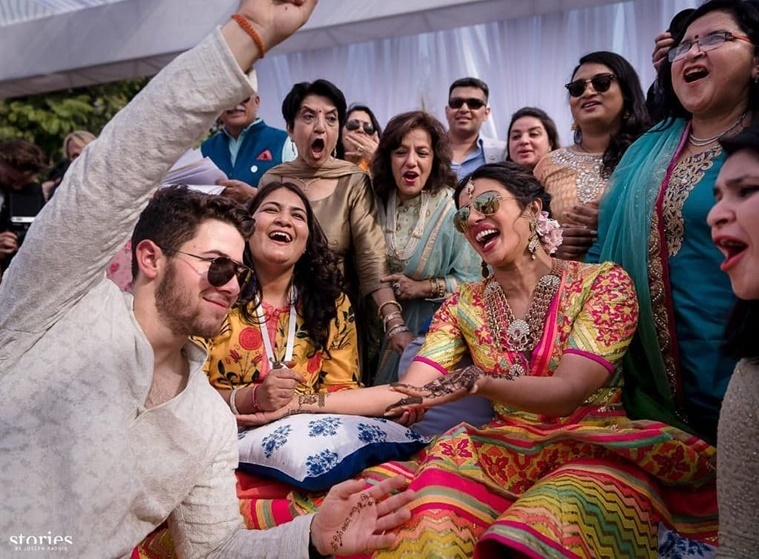 Priyanka Chopra and Nick Jonas’ much-awaited big fat Indian wedding has got fans in a frenzy. 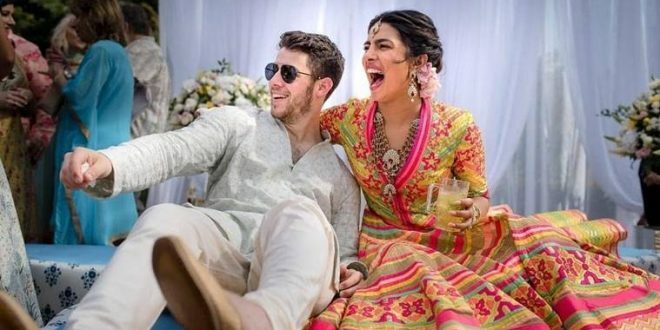 While we can’t wait to see what Chopra will wear for her big day, the couple recently posted pictures from their Mehendi ceremony on Instagram and we cannot get enough of it. 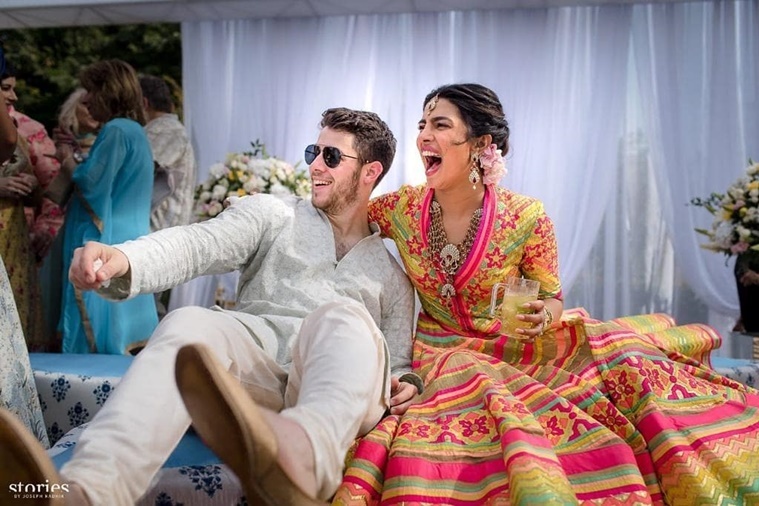 For the occasion, the Quantico actor chose to wear a multi-coloured ensemble from Abu Jani Sandeep Khosla. 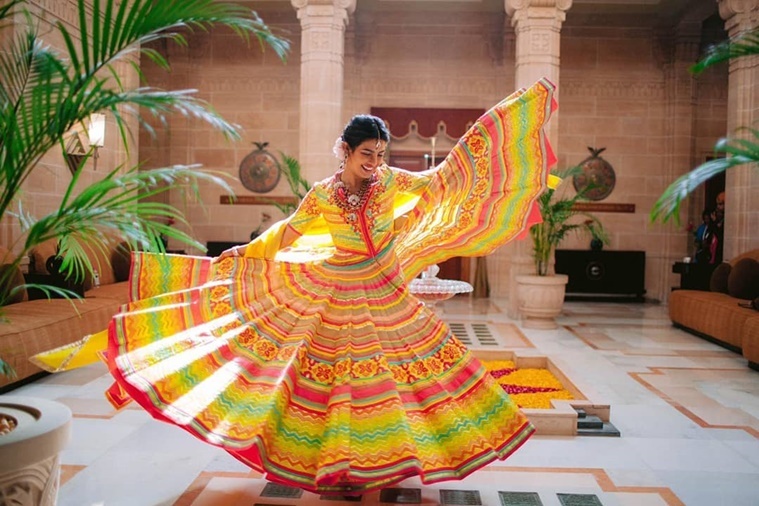 The designer duo described the outfit in an Instagram post as, “a fabulously folksy, multi-hued organdy ensemble, inspired by a AJSK collection”. Her outfit was teamed with heavy gold jewellery and a maangtikka, also from the same designers. 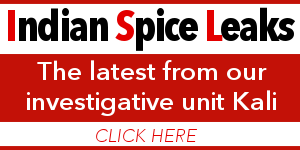 For the make-up, Chopra went for a neutral palette. She styled her hair in a messy bun and teamed it with a lovely gajra. We think it looked rather pretty on our desi girl. 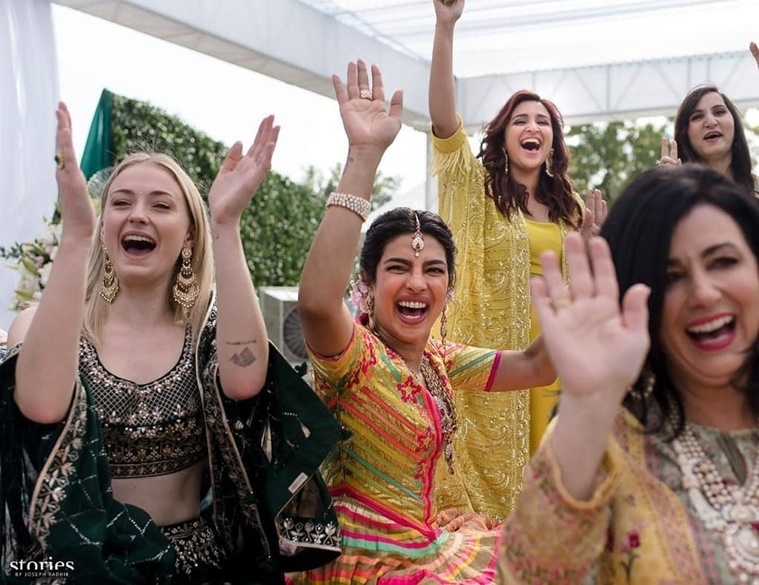 Priyanka Chopra with Sophie Turner and Parineeti Chopra. 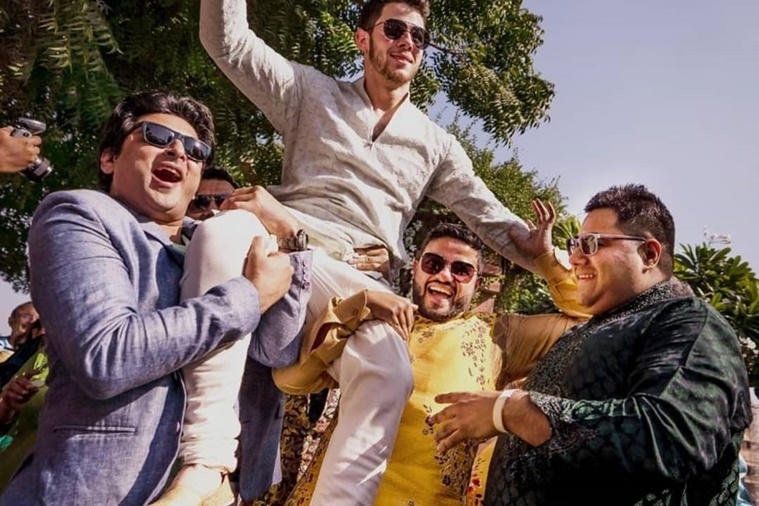 With Mehendi pictures this beautiful, we can’t wait to see the couple’s wedding photos.